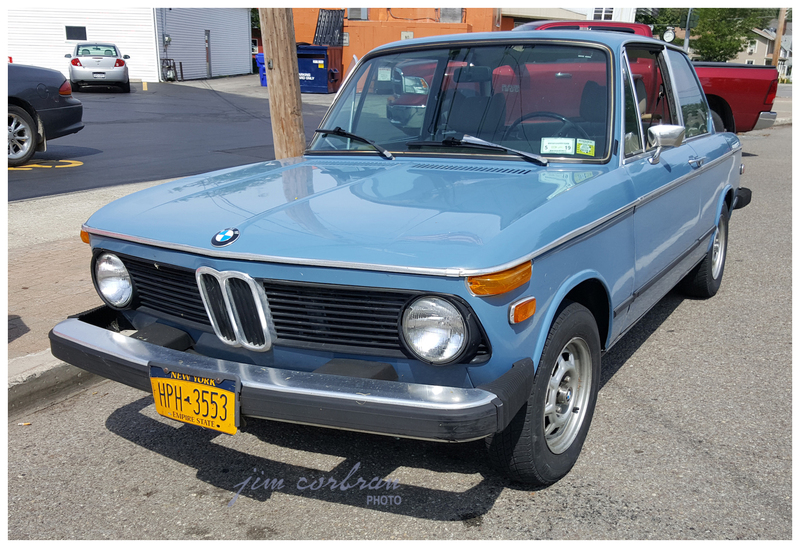 This 1974 BMW 2002, seen a few Saturdays ago in Wilson, is of the series of cars introduced by the Bavarian luxury car company in 1968. One could say they took a page from the American muscle car handbook (bigger engine/smaller car) and massaged it to the tune of putting a potent engine into a smaller car with the added advantage of a handling suspension and a comfortable interior — and thus was born the European sport sedan category. It (probably) saved BMW, who up to that point were hard to find in the shadows of Mercedes-Benz. The 2002 was sold up through the 1976 model year; those final three years with the U.S. government-mandated five-mph bumpers were probably the low point style-wise. 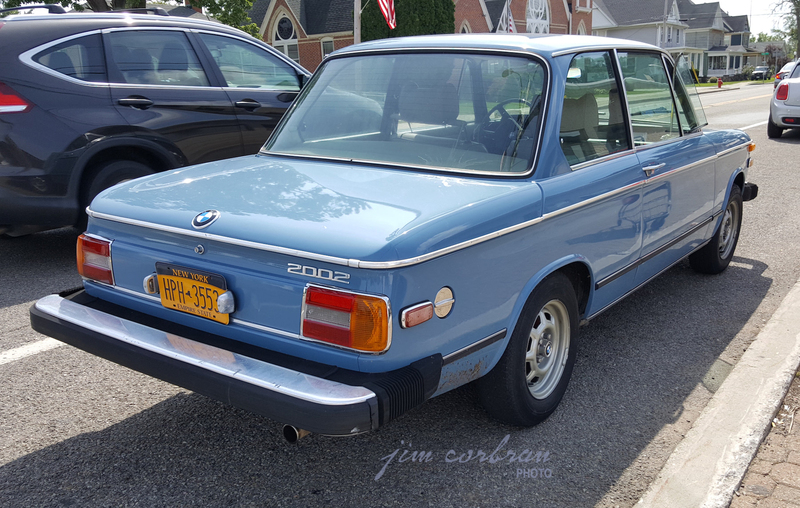 Still, the 2002 is a highly sought-after collector car.